The Easton Sports Development Class is structured for competitive archers to develop skills necessary for strong performance in competitive target archery. The course is based on the Easton Foundation Curriculum which focuses on proper form and technique for competitive archery. 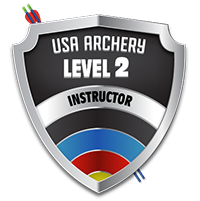 The Level 1 Archery Instructor Certification Class provides the necessary tools to maintain a high level of safety when running the archery range, for the enjoyment of the sport of archery, for the safety of the participants, spectators and coaches. Students will learn about range safety and set-up, the steps of shooting, equipment and repair, and programs that are offered in the sport of archery. Scholastic 3D Archery (S3DA) is an afterschool initiative that can be run by schools, archery shops, and archery clubs. Students do not need any prior experience with archery to join S3DA. Students are encouraged to use their own archery equipment, but for students that do not have their own equipment, they may use one of the club's compound bows for an additional fee. Classes are open to students in the 3rd grade through 12th grade. Designed by the National Bowhunter Education Foundation, you will earn your bow hunter certification card from the NBEF, explore many aspects of hunting including scouting, shot placement and tracking. You will also review how to select and maintain hunting equipment. This introductory course is for all archers who wish to participate in any of our youth or adult archery programs, or those who just wish to learn more about archery and begin practicing shooting with a bow. Archers shoot under the guidance of multiple instructors at the WMAC Facility Indoor Shooting Range over a four week period. This course offer participants a chance to learn about archery, archery equipment, and the various types of archery shooting. An introductory informational booklet, use of WMAC bows, arrows, and safety equipment, and a completion award are included in the course fees. Youth Core Archery – Saturdays: This program is structured as a foundational practice time. Archers primarily will be working on their core archery skills, building confidence with in the sport and themselves. Through Coaching and Mentoring, archers can begin to explore the other competitive archery programming that WMAC offers. Though coaching teamwork, the WMAC coaching staff can help direct archers and families to other WMAC youth archery programming that best fits the archer’s interest and family schedules. As always, competitive archers are welcome to shoot from 8:30AM – Noon. This allows these archers additional practice time. Requirement for outdoor practice, Archers must have their own equipment. Archers should have their own equipment and have the approval of one or more competitive team coaches. Archer and Parent(s) – must be present for orientation presentation, describing this program and the expectations of both archers and parents. A group orientation presentation will be given during month of December. Individual orientations may be given at the coach’s discretion. Practice structured as a Youth Handicap competitive league. Ending with prizes / pizza party / a fun money shoot. Coaches focus on refining core archery skills, shot cycles and form. Goal is to increase archer's confidence, and competitive interest. The league is more about learning to shoot competitively than it is about place standing in the league, so anyone joining after league has begun, will NOT have the opportunity to make up missed sessions. The $30 Fee for Outdoor Charity Tournament (June 1st) is included in registration fee. Coaching focus on archery form, shoot cycle, building endurance and getting archers ready for 2020 indoor archery tournament season. Youth S3DA Archery – Monday: This is an opportunity for our archers to practice competitive archery skills a 3rd time each week. S3DA sessions focus on shooting form, tournament etiquette, scoring on an NFAA target face, and being part of a competitive team. Archers who join S3DA have the opportunity to earn college scholarships based on their performance at national S3DA events. Archers can register for S3DA as a stand alone program or as part of the Youth Competitive Program. Students from 3rd grade through 12th grade can participate in S3DA. 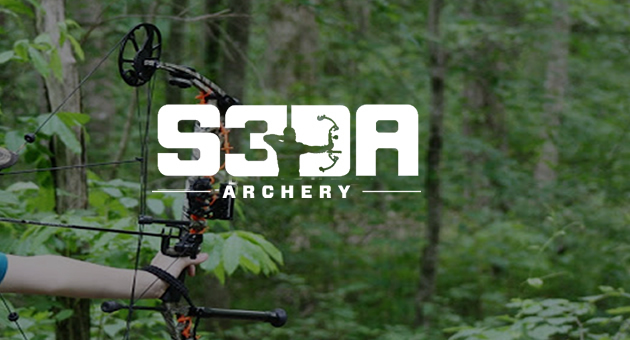 A current S3DA membership is REQUIRED for members of the Youth Competitive Archery program to participate practices, to learn more from the S3DA team CLICK HERE. *$30 Outdoor Charity Tournament registration fee is included in the Competitive and Comptetitive + S3DA Spring/Summer Indoor/Outdoor Season fee. Competitive archers may participate in this structured series of archery classes (if they want to develop skills necessary for strong performance in competitive target archery.) These sessions are more structured to the needs of the competitive archer and his or her development for local, state, and national tournaments. Each session will be up to 120 minutes in length and is based on the Easton Foundation Curriculum which focuses on proper form and technique for competitive archery. Archers enrolled in this course must complete all 11 classes within the session. The cost of the course also includes use of JOAD archery equipment (although it is highly recommended that archers have their own archery equipment including: a bow, arrows, and appropriately sized safety equipment – check with class instructor for details), weekend practice sessions, and participation in the JOAD or Adult Archery Indoor programs. Membership with USA Archery is required to participate in the JOAD and Adult Archery recognition programs through USA Archery. Registration: This course is by invitation only. This 12 week program is for adult archers who want to be more competitive for the indoor season. This program is for the intermediate archer looking to get to the competitive level. The 9 week curriculum includes practice time with a primary coach, lectures, practice evaluation, mental training, and weekly readings with participation in online discussion. The course will require reading assignments for mental training which will be followed up by weekly interactive online discussion. Each week archers will set individualize goals with one of the head coaches. 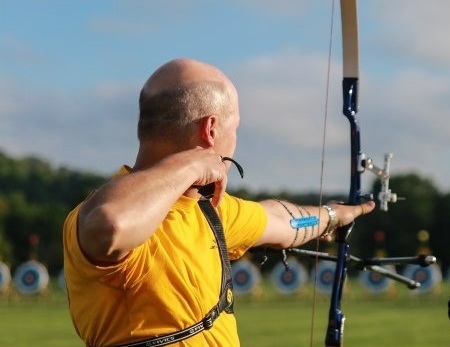 Tournament participation is highly recommended for the Meijer State Games of Michigan – Outdoor Tournament, SAM Single Distance Outdoor Tournament, and USA Archery National Target Championships. Advanced Adult Archery Competitive Team shirts will be available for purchase. Cost of the tournament registrations are not included in the course registration fee. If participants do not choose to purchase a Performance Analysis Journal, then they must have a journal of their choosing for this class. 1:15-3:40pm – Practice with Coaching, Form Corrections, Etc. The Level 1 Archery Instructor Certification Class provides the student with the necessary tools to maintain a high level of safety when running the archery range, for the enjoyment of the sport of archery, for the safety of the participants, spectators and coaches. Students will learn about range safety and set-up, the steps of shooting, equipment and repair, and programs that are offered in the sport of archery. Participants age 15+ may participate in this course. Bow will be provided for the class, however students may bring their own bows to use in the class. The registration fee of $100 covers instruction, use of equipment, and the USA Archery Level 1 Instructor packet and examination. Registration fee may be paid online or by check or cash at WMAC. To pay by check or cash, please use the promo code CHECK/CASH. Payment must be received by WMAC within 3 days of purchase, but no later than registration deadline. “The Level 2 Archery Instructor Certification Course includes the Level 1 Archery Instructor Certification Course and provides students with an introduction to the National Training System (NTS) Steps of Shooting for recurve and compound, equipment and accessory set-up, athlete development and events as well as qualifies students to teach the Level 1 Archery Instructor Certification Course. Graduates of the Level 2 Archery Instructor certification Course are well prepared to serve as the lead instructor for long-term archery programs such as Junior Olympic Archery Development (JOAD), Adult Archery Program and Collegiate Archery Program Clubs, as well as the Explore Archery Program.” – USA Archery Bow will be provided for the class, however students may bring their own bows to use in the class. S3DA is an entirely after school initiative that can be ran, not only by schools, but also through archery shops, churches, ASA clubs, etc. Sessions will focus on shooting form, tournament etiquette, scoring on an NFAA target face, and being part of a competitive team. Students from 3rd grade through 12th grade can participate in S3DA*. Archers in S3DA have the opportunity to earn college scholarships based on their performance at national S3DA events. Students do not need any prior experience with archery to join S3DA. Students are encouraged to use their own archery equipment, but for students that do not have their own equipment, they may use one of the club's compound bows for an additional fee. This 8 week program is designed for school-aged archers who are interested in Outdoor Target competition and are working toward competing as part of the WMAC S3DA Team at the S3DA Outdoor Nationals. 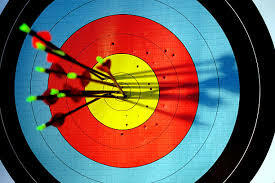 All Scholastic 3D Archery sessions meet on Monday evenings from 6:00 to 7:30pm at the West Michigan Archery Center. This 6 week program is designed for school-aged archers who are interested in Outdoor 3D competition and are working toward competing as part of the WMAC S3DA Team at the S3DA Outdoor 3D Nationals. All Scholastic 3D Archery sessions meet on Monday evenings from 4:30 to 6:00pm at the West Michigan Archery Center. * Archers that participate in this program must attend 75% of the WMAC Outdoor Target Team sessions (minimum of 6 out of 8) in order to compete at the Regional, State, and National Indoor S3DA Tournaments. Note: If Mondays do not work with your schedule, but you would still like to participate in the WMAC S3DA Outdoor Team, please see one of the WMAC S3DA Coaches to discuss your specific scenario. Archers can be any skill level to participate in the S3DA program at WMAC. If a child is not registered with S3DA they will need to register through Sport:80. Cost is $25 per year. Archers do not need to have their own equipment to participate in this course. If archers do have their own archer equipment, they are highly encouraged to bring it to class. 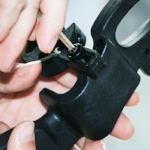 If archers do not have their own equipment, they may use a WMAC Genesis compound bow for an additional cost of $20. For more information on requirements to earn the Girl Scouts of the United States of America Archery Badge please see your troop leader. Check back for future class dates. This class was designed by the National Bowhunter Education Foundation. Successful students will receive their bow hunter certification card from the NBEF. This class is not Hunter Education which is firearms related and is mandatory in Michigan. However, this class teaches much more about successful and safe bowhunting. Many states now require a bowhunter certification card for non-resident bow hunting. This class and card will allow students to bow hunt in those states. Trained instructors will also review how to select and maintain bowhunting equipment. Under strict supervision students will actually experience shooting at 3-D deer targets from ground blinds while standing and sitting. Students will also shoot from an elevated platform at a 3-D deer target. Parents are encouraged sit in on class or participate as a student. If you have your own bow hunting equipment, bring it to class. If not bows and equipment will be provided. Signed waiver of liability required. Contact Jeff DeRegnaucourt at archeryinsurance@businessquote.com or by phone at (616)340-9327 if you have any questions.